The Bajaj Urbanite premium electric scooter will be unveiled soon, Rajiv Bajaj, Managing Director - Bajaj Auto Ltd. has confirmed. Most of you are here expecting that an electric scooter is going to appear on stage. I'm sorry to disappoint that's not going to happen today. But it'll happen soon. On 26 November, Rajiv Bajaj had hinted that Bajaj Auto is working on a Tesla-like electric two-wheeler. 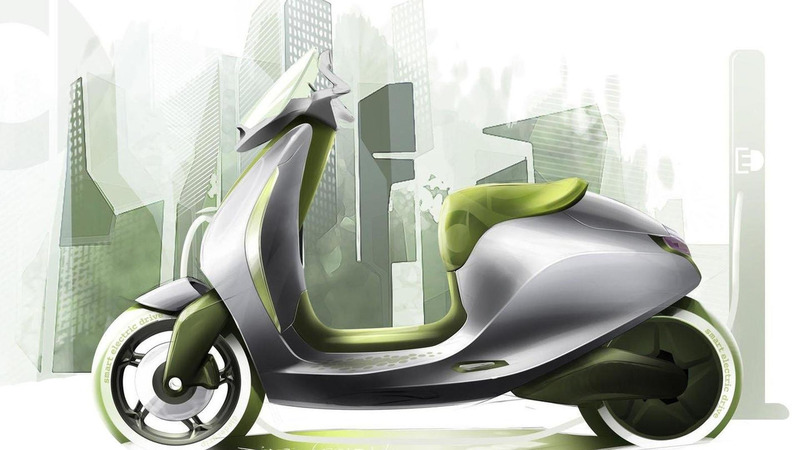 While it was earlier speculated that the electric two-wheeler could be a motorcycle or a scooter, Mr Bajaj, on 20 December revealed that a Tesla-like e-scooter will be introduced before 2020. With the latest announcement, we can expect the Bajaj Urbanite premium electric scooter to be unveiled in the coming months before the launch early next year. Bajaj Auto hadn't revealed specifications or a design concept of the Bajaj Urbanite electric scooter. We can expect the company to leverage KTM's EV technology for the development of the Urbanite brand. As a reminder, the Austrian bike maker was working on an electric version of the KTM 390 Duke, which was spied testing last year. The company retails the KTM Freeride E-XC electric dirt bike in its global markets. According to Rajiv Bajaj, the Bajaj Urbanite electric scooter will be a highly desirable, niche and premium offering from the makers of the Pulsar brand. We can expect the e-scooter to be equipped with a powerful motor, breakthrough technology and a large battery pack to offer a higher electric riding range as compared to what is currently available in the market. The electric scooter is expected to feature top-shelf components. The Bajaj Urbanite premium electric scooter could retail in India at around INR 1 lakh (ex-showroom). It will rival the likes of Ather 450, Okinawa Praise e-scooter and the Twenty-Two Motors Flow. Upcoming scooters in 2019, Part 2 - Bajaj Urbanite, TVS Ntorq 150..